1. Find a way – You may have to do things a little differently, but you cannot stop the dream. 2. Make adjustments. Maybe you cannot run, but you can walk. 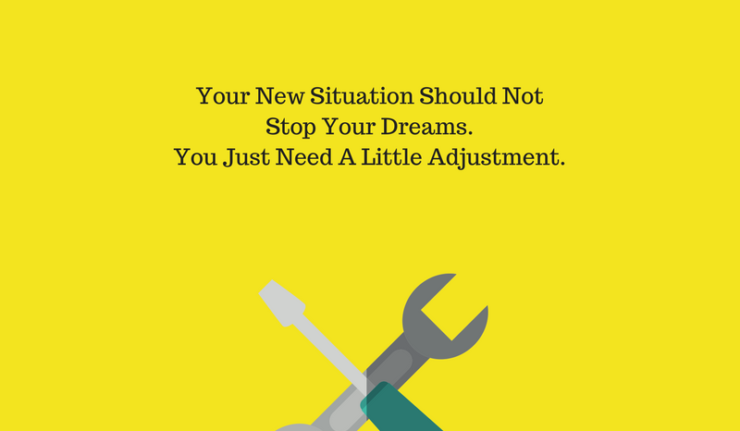 Make the adjustment. 3. Don’t use life changing incidents as excuses to quit. You made the decision to go after your dreams. The decision has been made! Honor it! 4. Ultimately, your gift is yours. A life change cannot change that. 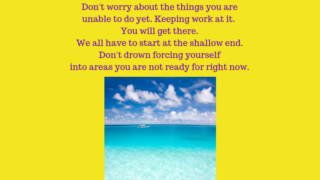 It is your God-given gift and you have the responsibility to keep going! 5. Shut down the naysayers that tell you that you have to choose something else now. It doesn’t matter that you cannot do things the same way. YOU CAN STILL DO THEM! So get back to work! The realization of your dreams await you! Make the adjustments, DON’T QUIT! !